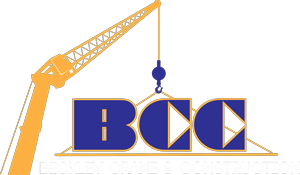 Beckley Crane & Construction, Inc. has been serving Beckley and the surrounding area since October 2004. Our NCCCO certified crane operators have the experience to get the job done safely and efficiently. Also, our staff of welders, fabricators, mechanics, etc. can tackle just about any job. Being a small, locally owned and operated company, Beckley Crane can offer the personal service that is hard to find with larger corporations. We take pride in helping the community grow both residentially and industrially, because this is where our family, neighbors, and friends are. We encourage you to take your time and browse through our selection of equipment. Beckley Crane is proud to offer hydraulic, mobile crane services with an operator, ranging from 12 through 165 ton all-terrain cranes. In addition, we offer heavy hauling and rigging services.